One of the major barriers blocking U.S. President Barack Obama’s campaign for his mammoth international trade deals — the TTIP with Europe, and the TPP with Asia — is: other countries want the freedom to make up their own minds about the safety or dangerousness of the foods they allow to be sold within their borders. The Obama Administration is insisting that no nation have that freedom. In fact, all participating nations would be removed from that responsibility and authority. The Obama trade deals propose to replace that national authority, and basic national sovereignty on these important matters, by decisions that would instead be made by international panels, whose members will be appointed by international corporations, which have their own profits at stake in these matters. Consumers and others will be ignored: they will not be represented in the proposed panels. Nor will any government be represented there. That soverignty will instead be transferred to the billionaire families who control and derive their income from these corporations. President Obama’s Trade Representative, Michael Froman, who is a Wall Street banker and a longtime close personal friend of the President, said on April 22nd that he was “very disappointed” that the EU wants to allow individual EU nations to “opt out” of automatic approval of Genetically Modified Organisms (GMOs) that the international panels will approve to be marketed everywhere. Furthermore, Froman’s assistant said that the U.S. rejects “a proposal to allow EU member states to ban products deemed safe by Europe’s own scientists.” He was referring there to the half of scientific papers that find GMO foods to be safe. However, those papers were produced by companies that manufacture and market GMOs. The other half of the scientific papers on GMOs, the half that were produced independently of the GMO industry, have not found GMO foods to be safe — to the exact contrary. The Office of the U.S. Trade Representative ignores those papers. The United States does not regulate GMO foods, because the patents are owned mostly by U.S. companies, and the U.S. Government doesn’t want to get in the way of their selling their patented products. Consequently, the U.S. Food and Drug Administration takes any given GMO manufacturer’s word for the safety of its GMO products. U.S. President Obama wants to promote U.S. trade by convincing all other countries to sell GMO foods. His TTIP and TPP are supported by the GMO industry, which has approved their GMO foods and allowed their product-labels to not mention that some or all of the ingredients are genetically modified crops. One of the major advantages of GMO crops is that they can survive the use of herbicides — weed-killers — that kill natural crops. (The GMO-seed manufacturer also markets the pesticide or herbicide; these are chemical companies, and GMOs are a complementary or synergistic product-line for them. For example, the leading herbicide “Roundup” is from Monsanto which produces the GMO seeds that tolerate it.) Another advantage is that the foods can stay longer as looking and smelling fresh, which also lowers the cost of production, and yet the consumer doesn’t even know that the food is actually stale — the food is competing against costlier-to-produce non-GMO foods and so driving them off the market by the lower price, which leaves more and more food-production dependent upon GMO makers such as Monsanto, DuPont, and Dow Chemical. The lower price is obvious; the lower quality is hidden. It’s race-to-the-bottom international ‘competition,’ in which the aristocracy reap all the winnings; the public get the losses. A recent news report from independent food scientists was bannered “FDA Product Safety Declaration Misleads Nation—Again” and it contains references to many recent scientific papers that find GMO foods to be dangerous, and harmful to human health. An international analysis, “A Comparative Evaluation of the Regulation of GM Crops” was published in 2013 in the scientific journal Environment International, and it concluded by saying that, “Regulatory bodies are not adequately assessing the risks of dsRNA-producing GM products. As a result, we recommend a process to properly assess the safety of dsRNA-producing GM organisms before they are released or commercialized.” The Obama Administration is trying to prevent that from happening; and their proposed TTIP and TPP international-trade treaties are crucial components of achieving this objective. In the United States, GMO-producers are granted the right to self-regulate, and this practice will become the standard worldwide practice if the TPP and TTIP become passed into law. The U.S. Government is doing everything it can to spread to other nations the same deregulatory policies that American companies rely upon to market their products inside the United States. On Friday, April 25th, a key U.S. Senate Committee approved a “Trade Promotion Authority” bill to help rush through the U.S. Senate the approval of Mr. Froman’s TPP trade deal with Asian countries. For a summary of the regulatory practices around the world regarding GMO crops, see here. A discussion of the votes in the U.S. Senate on the measure that was proposed by Senator Bernie Sanders to allow individual states to establish their own regulations requiring the labeling or indication of whether or not particular food ingredients are GMOs (since the federal Government refuses to consider such a proposal), is here, and it shows that even some allegedly progressive U.S. Senators voted the GMO industry’s way on that bill to regulate it, which failed, on a vote of 71 to 27. One might call this the Monsanto Congress, because the U.S. House is even more conservative than the Senate. Of the 27 U.S. Senators who voted for the Sanders bill, 24 were Democrats, 2 were Independents, and 1 was Republican. 43 Republicans, and 28 Democrats voted against it. The Obama Administration had lobbied against the bill, in order to continue the GMO industry’s free reign over America’s food-supply. Hillary Clinton is a big supporter of the GMO industry, and the response of liberals to that is to ask her to give them rhetoric they like on the matter, just as Obama had done when he was running for President in 2008. In other words: they will campaign for her to become President if she will only lie to them as Obama did to them. What liberals are demanding is rhetoric; but if they get it from her, then the industries that are funding her Presidential campaign won’t be worried, because she has a solid record of doing what her financial backers want her to do. As long as Americans don’t care when a politician has lied to them, lying to them will continue to be the way to win public office — especially considering that America’s international corporations now have been granted by the Republican U.S. Supreme Court a ‘free speech’ right to purchase the U.S. Government. And now that the Supreme Court has also ruled that political lies are a Constitutionally proected form of speech, those ads don’t even need to be true. If the American people don’t care about honesty, then they won’t have an honest government, because America’s corporations can then buy any U.S. Government they want — they’ll have total impunity if the U.S. public don’t even care about honesty in their government. There are no legal penalties for political lying; so, if there are also no political penalties for it, then the U.S. can only be ruled by lies and their liars. Should that be called “fascism”? According to the generally progressive Democratic U.S. Senator Sherrod Brown of Ohio (who, along with Elizabeth Warren and Bernie Sanders is one of the Senate’s three leading opponents of Mr. Obama’s proposed international-trade treaties), President Obama has been lobbying Senators more insistently and more intensely on getting them to grant him “Fast Track Trade Promotion Authority” to ram these treaties through, than on any other single issue since Obama first became President in 2009. No issue, not even Obamacare nor any other, has been as important to Obama as is his getting signed into law the TPP and TTIP. It would certainly be the culmination of his Presidency if he succeeds. It would be his crowning achievement. He and his heirs will be amply rewarded if he succeeds; and that’s apparently what he really cares about. He has shown it by his actions as the President, not by his rhetoric to voters. After all: Americans, it seems, don’t really care about honesty. All they really care about is rhetoric that pleases them. They merely want to be told what they want to hear. Perhaps this is the reason why no progressive has entered the Democratic Presidential contest against Hillary Clinton. If the only realistic possibilities to become the next President are her and her Republican opponent (whomever he will turn out to be), then America will continue to be a de facto one-party State, and this will be the U.S. international-corporate party, in both of its factions or nominal varieties, controlling the U.S. Government. The only comprehensive scientific study that has yet been done finds that the U.S. has, in fact, already been ruled in this way for some time. (The history of how it came to be this way, starting gradually after the end of World War II, is the subject of my latest book.) Obama is merely implementing it more; he didn’t start it. He is implementing it more than even Republicans were able to do. Obama wouldn’t have been able to do this if he didn’t come bearing the label ‘Democrat.’ And Hillary Clinton’s husband Bill was the key person to subordinate that Party to Wall Street. Hillary and Obama are following in his footsteps. Obama’s “Change” occured actually when Bill Clinton became President in 1993. It simply hasn’t been much recognized until now. Today’s Democratic Party started when Bill became President. That’s when the one-party State, with the national Democrats playing the role of the ‘Good Cop’ to the national and local Republicans’ role of the ‘Bad Cop,’ in the eyes of the Democratic Party’s electoral base of deceived liberals, actually began to take over the U.S. Government, for the benefit of, and service to, America’s aristocracy. 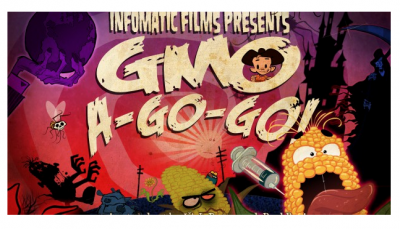 This is why both Obama and Clinton are big supporters of essentially unregulated GMOs. It’s sort of like unregulated Wall Street: the profits get privatized, while the losses (poor health etc.) get socialized. Investigative historian Eric Zuesse is the author, most recently, of They’re Not Even Close: The Democratic vs. Republican Economic Records, 1910-2010, and of CHRIST’S VENTRILOQUISTS: The Event that Created Christianity, and of Feudalism, Fascism, Libertarianism and Economics.